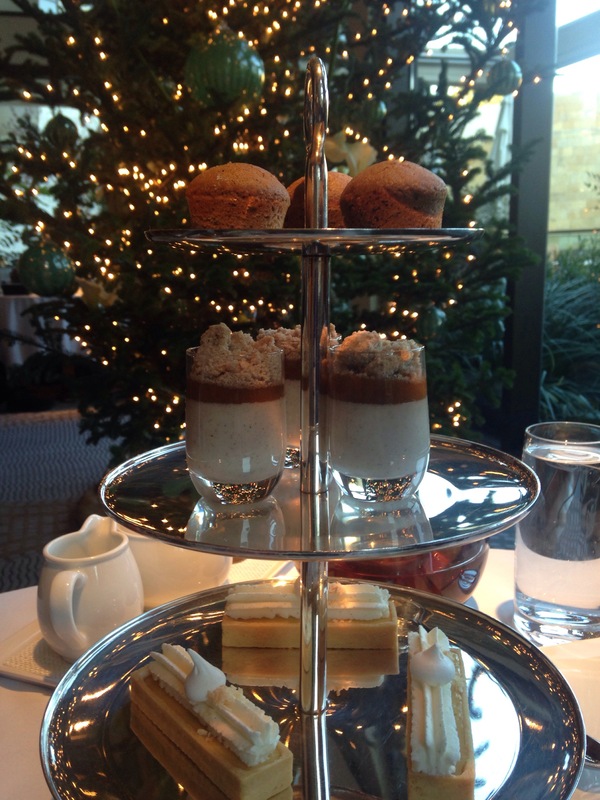 Afternoon Tea is served in the heart of The Umstead Hotel and Spa hotel&apos;s lobby lounge. Situated amongst the art adorned walls, enhanced by the hotel’s pièce de résistance, the Dale Chihuly glass sculpture, Afternoon Tea is a welcoming and elegant way to spend an afternoon socializing. 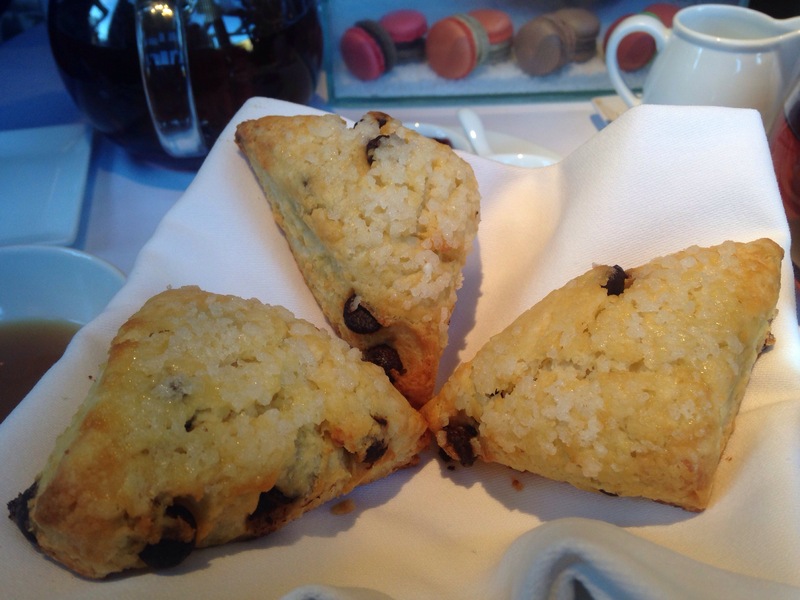 I recently attended The Umstead Hotel and Spa&apos;s Afternoon Tea with two of my friends, Ron and Leigh. We sat at a cozy table next to the gorgeous Christmas tree decorated with glass blown ornaments. Our nice server, Elizabeth started out the afternoon by presenting us with a variety of hot tea options. I selected to have the Celebration tea, which had a wonderful rich flavor. Live harpist accompaniment added to the soothing environment during Afternoon Tea. 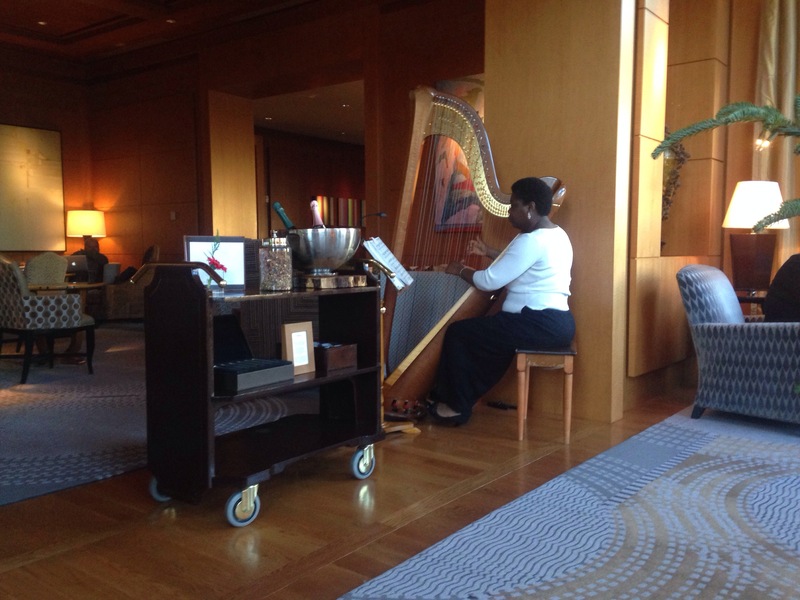 The harpist played Christmas melodies while we sipped on our hot tea and had great conversation. Afternoon Tea began with a variety of tea sandwiches. 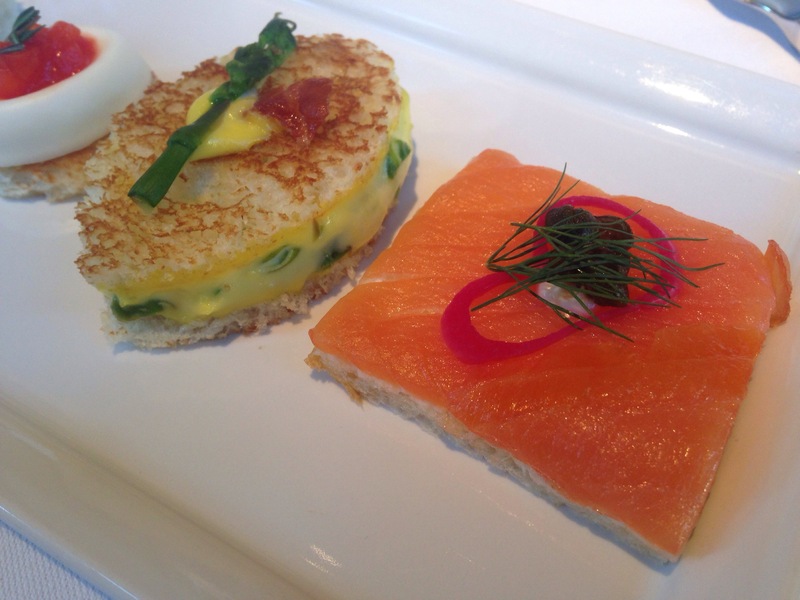 The sandwiches were dainty and included unique bites like the Cream Cheese Rotisserie Chicken Salad, Cream Cheese Panna Cotta and House Smoked Salmon Gravlax. One of my favorites was the egg salad topped with a small piece of asparagus. After we finished the tea sandwiches, warm chocolate chip buttermilk scones were served with devonshire cream, fruit preserves and lemon curd. Along with the scones came a variety of French macarons including gingerbread, apricot hazelnut and apple cider among others. 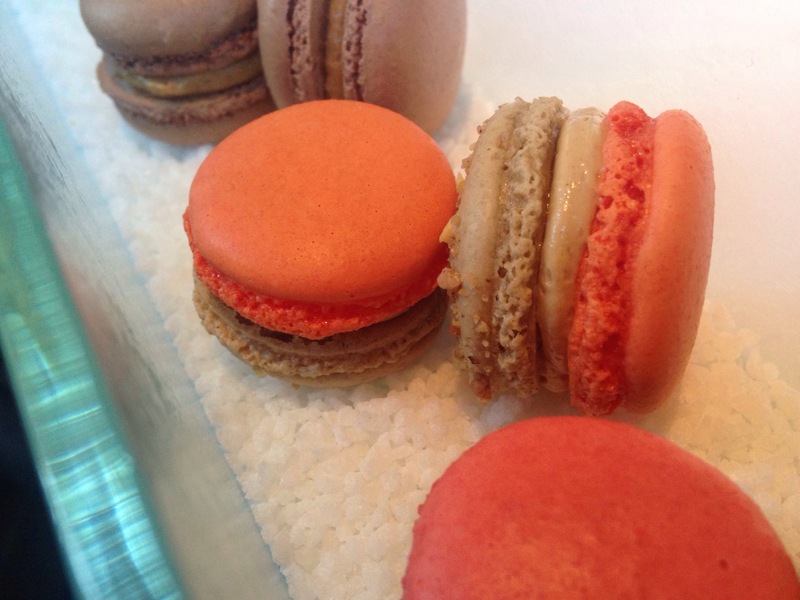 Of course, this was one of my favorite parts of Afternoon Tea because I absolutely love French macarons. Finally, to finish our Afternoon Tea a variety of pastries and a seasonal eggnog verrine were served on a three-tier tower. I was completely satisfied after enjoying all of the pastries, sandwiches and pot of tea. 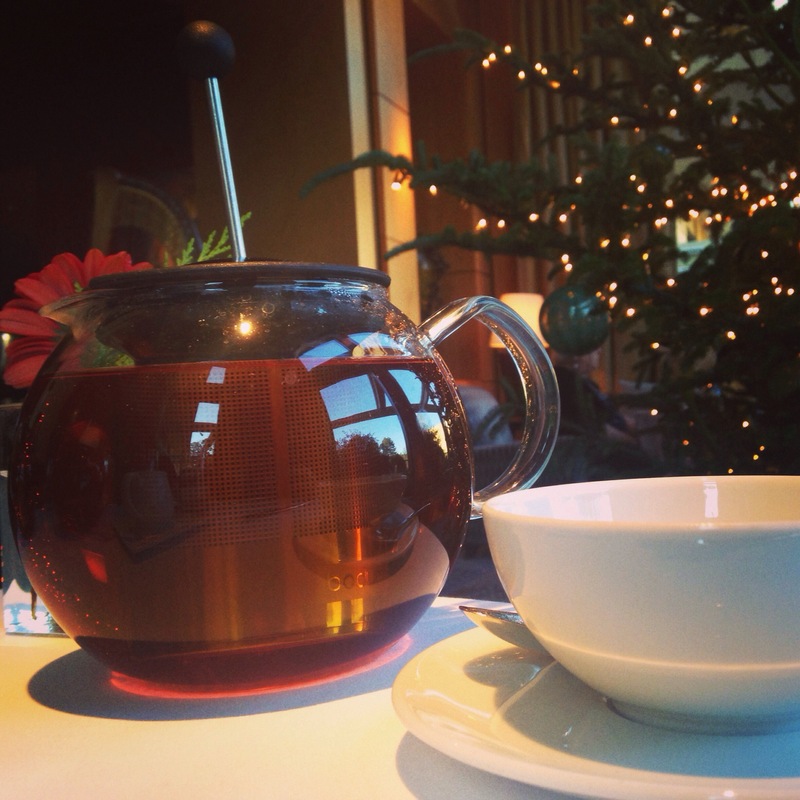 Afternoon Tea is a perfect gift to give a tea lover or Foodie this holiday season. Afternoon Tea is served Wed.-Sun. from 2:30-4pm. Reservations are required by calling 919.447.4000 919.447.4000.